Let the audiologist at HearCare Rhode Island help you to experience your life to the fullest through better hearing. We look forward to meeting you and serving all of your audiology and hearing healthcare needs. HearCare Rhode Island provides comprehensive hearing care services including complete hearing evaluations, hearing aid dispensing, education and counseling. Our goal is to improve the lives of people with hearing loss through quality hearing care services. We dispense a wide range of hearing technology including the latest hearing aid models to suit most every hearing loss, communication need, lifestyle and budget. We invite you to contact us today to schedule a consultation with audiologist, Laurie Duffy, M.S. As an independently owned audiology clinic, we are not required to offer any one brand of hearing instrument. Instead, our independence affords us the ability to recommend what is truly best for each individual we see. 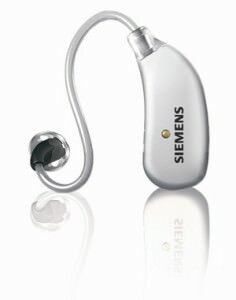 Our top priority is to provide the absolute best care paired with the most suitable device for your hearing loss. Whether you prefer to visit us at our office, or receive your care at home, we are here for you. Ms. Duffy provides audiology and hearing aid services in over fifty nursing homes and assisted living facilities around the state. For those who desire in home hearing care, home visits also are available for those patients who are unable to travel into the office. Laurie Duffy, M.S, is devoted to helping those in Rhode Island to hear better by providing personalized and attentive audiological care to each patient in her care. Learn More About Laurie Duffy, M.S. Getting started on your path to better hearing is easy. A comprehensive hearing test will outline your specific hearing challenges. Learn more about the hearing aids we offer by clicking here. We offer over-the-counter as well as custom ear protection for concerts, musicians, motorcycles, and power tool use. We even offer ear plugs to help with sleeping. At HearCare Rhode Island, we offer Assistive Listening Devices (ALDs) to help our patients with specific complex listening situations . Click here for more information on ALDs. At HearCare Rhode Island, we offer audiological evaluations complete with otoscopy, tympanometry, bone conduction testing, and speech-in-noise testing.